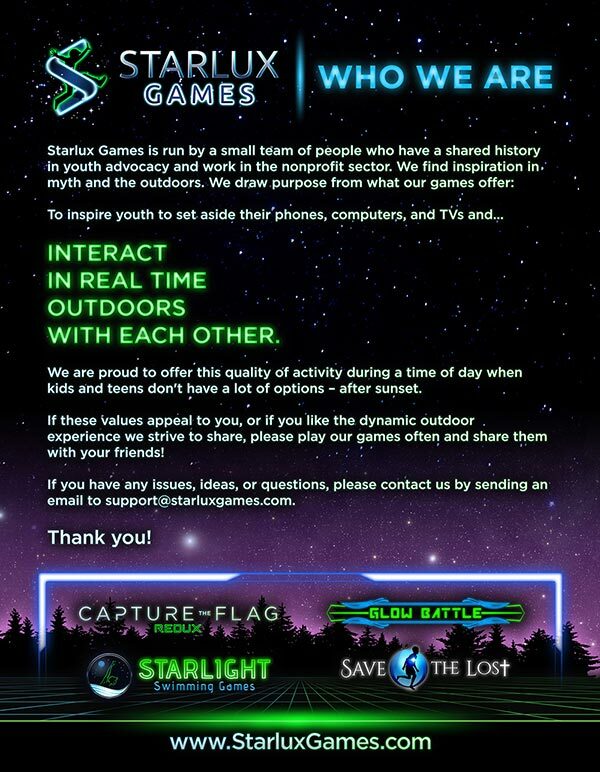 There is nothing like outdoor games for kids and adults to play together. Here are some of our favorite outdoor games. This simple game from your grade school years is remarkably simple but can supply endless fun. All you need is a bouncy ball, a hard surface away from cars or anything that can hurt players or be damaged by a flying ball, and some street chalk to make four squares. I won’t bore you with the rules, but this four-player game can be played with large groups. When someone gets out, have someone cycle in to the fourth, or D, position. Add more interest by giving the person in the top square the ability to make rules up if they’ve held that spot for five rounds in a row. You will be surprised at how fun two rows of people holding hands can be! 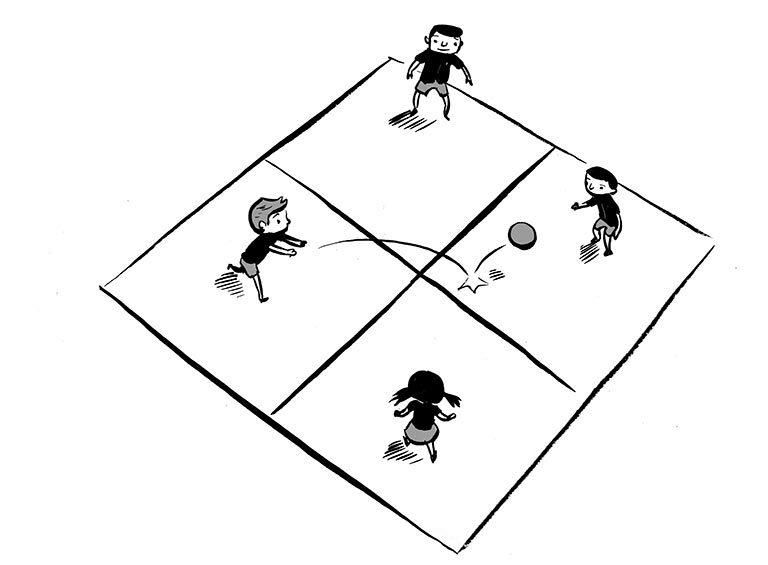 The game is best played when you rotate kids with adults, or purposefully put two kids together to give those on the other team a better chance at breaking through somewhere. We at Starlux Games love different versions of paper, rock, scissors. This one is a hilarious, fun games for all ages. The winners grab the losers and pull them to their side. The losers try to get behind the safe zone behind them. Giants beat elves (squish! ), elves beat wizards (those wily folk), wizards beat giants (zap! ).